NEW YORK (WABC) -- Construction on the L train's Canarsie Tunnel may conclude three months sooner than previously predicted. According to the MTA, it will take 15 months to complete repairs on the tunnel under the East River, which was damaged during Superstorm Sandy. "The heavy damage sustained by the Canarsie Tunnel during Superstorm Sandy requires a full reconstruction in order to ensure the integrity of the tunnel and the safety of riders for generations to come," said MTA Interim Executive Director Ronnie Hakim. 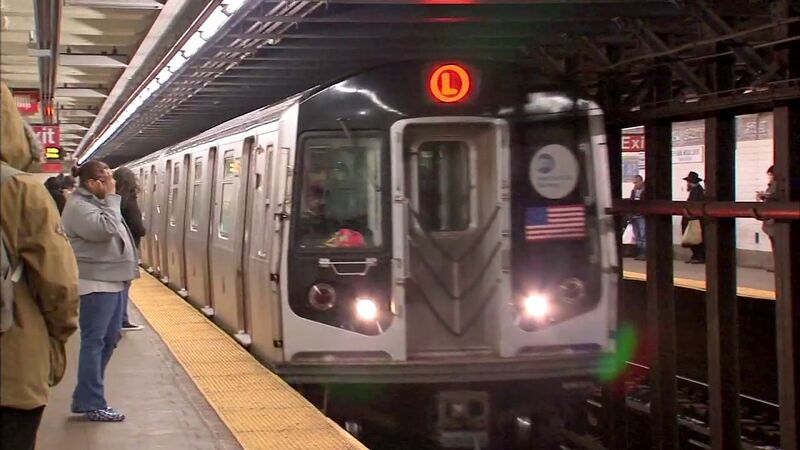 "At the same time, we promised to do everything possible to mitigate the impact of this vital work on L line riders, and today, we've done just that, by shortening the tunnel closure from 18 months to 15 months." The improvements don't stop there. The MTA will seek approval for new plans this week for a project that would improve two stations and add a new substation to make room for more L trains. The tunnel will shut down for work in April 2019.